As soon as I submitted my feedback I got an automated email assuring me I’d receive a personalized response as soon as my issue was investigated. Well, I received a response less than 12 hours after my email to them, and it addressed every one of my issues, was to the point, and obviously came from an agent in the US. To “make amends” they deposited some miles in my account instantly and said they would forward my downgrade issue to the AAdvantage department so they could take a look at it. Let’s see if I hear back from them. Either way, color me very impressed! A well written response within 12 hours with generous compensation, and forwarding the downgrade issue to the AAdvantage department, all for someone without status? Nice. 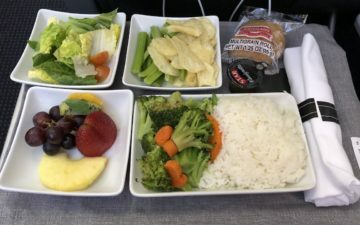 American does throw miles around like United in my experience when I have a complaint. They are good about and respond in a good way. You can put United/American in the generous mile bucket and Continental/US Airways in the other bucket. That’s a VOLUNTARY downgrade. And a flight canceled “due to crew” I bet happened before the crew were scheduled to come from JFK on a flight canceled by the weather. It’s great that you’re getting some extra miles, but given the conditions at JFK last weekend, I think you were very lucky to fly. @ N766AN — I don’t consider that to be a voluntary downgrade. The JFK-SFO flight was canceled because of crew issues on the outbound, and not because of crew issues on the return. Seems like it was totally within American’s control (although no doubt weather played a factor, but maybe they need some more reserves). The next option would have been to fly out two days later, so we did get lucky, but at the same time American would have been stuck paying for hotels for us, given that it *was* within their control, as the ticket agent explained to us. When we got to the gate our boarding pass showed “Z” class (award first), but we were seated in business class. Wow, they actually read the email and responded accordingly? It usually takes me 4-5 emails back and forth to UA before they coherently respond to any question I have–and that is with a specialized 1K Customer Relations department! I can’t imagine what they do with non-status passengers. Now you know why us AA flyers put up with crappy MD80s. How many miles did they give you for your troubles? 1. Now that you’ve complained about the reading lamp issue, AA may (without prompting) put some miles in the accounts of any elite FFs on the flight. Those same customers will probably also get a letter from AA apologizing and explaining that the miles (5k or something like that) have been deposited. 2. 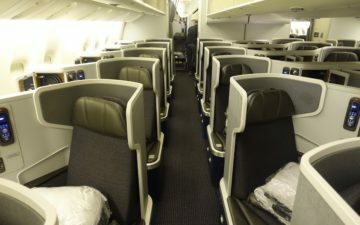 AAdvantage customer service will refund you the difference in miles between F and J awards. That may take a few days, but it will happen. Plenty of people complain about American customer service, but in my experience, they’re light years ahead of their colleagues at most of the other legacies. @lucky: get used to it, this is typicAAl and why we AA elite have our loyalty! The customer service is fantastic. Maybe you should think about EXP this year? I always get very quick, well written responses from AA. @Josh MB, I agree advantage customer service might do something, but its hard to think this is what they would do. Keep in mind this was only 1 segment of a much bigger itinerary. If Lucky ended up getting CX F transpac for only 55,000 miles, that’s pretty amazing! I am glad to hear you had a good experience. Although I have to question how many of these good responses are coming from purchasing first and business class tickets. I have had terrible customer service three out of four time using the airline. The latest was this last weekend on Thanksgiving and emailing them last Friday, I still am waiting for a response. I personally can not understand why people put up with them.